Following the much acclaimed release „Jece Valadão/Uepa“ by Vienna’s Stereotyp feat. Edu K and Joyce Muniz, the Funk Mundial series on Man Recordings presents #2 in the transatlantic music collaborations between Brazil and Europe. 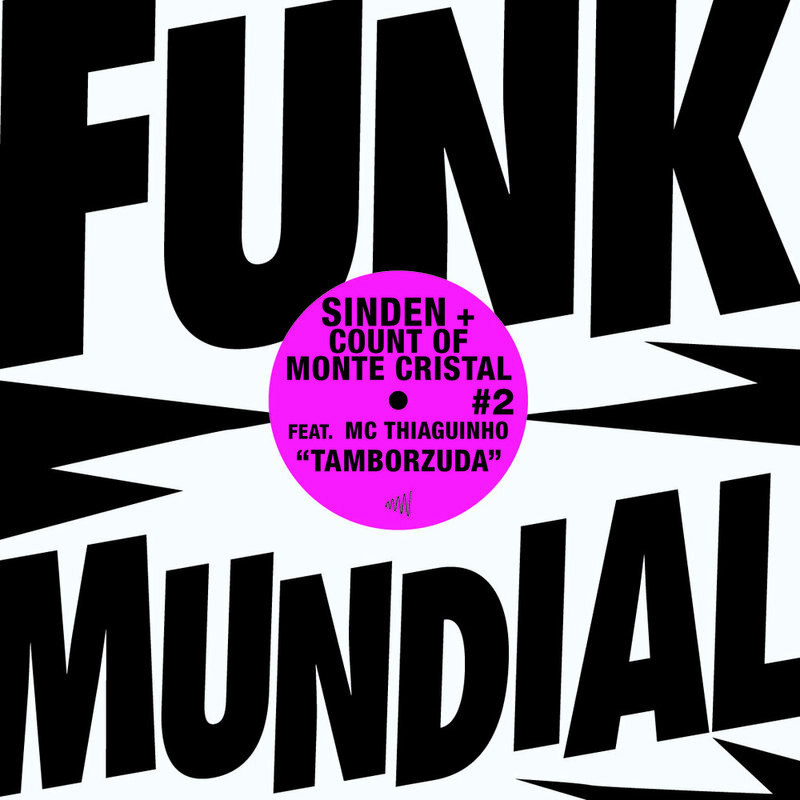 The second Funk Mundial release is produced by Sinden + Count Of Monte Cristal (a.k.a. Herve), currently two of London’s hottest club music producers. Releasing for labels like Dubsided, Countferfeet, On The Brink and many others, the two producers currently turn heads with every tune and remix they release. Sinden has remixed Lady Sovereign, Edu K, Basement Jaxx, Bugz In The Attic, Roxanne Shanté amongst others and has collaborated with Dave „Solid Groove / Switch“ Taylor and Jesse Rose on various unclassifiable riddims. Herve has released various banging 12“es on Dubsided, collaborates with Trevor Loveys under the moniker Speakerjunk, releases mellow music as Young Lovers and recently remixed Bloc Party, Jimi Hendrix and Princess Superstar to much acclaim. For „Tamborzuda“ Sinden + Herve fuse speed garage beats – London’s late 90s dominating floor shaking groove – with the dope alchemy and rave melodies of Rio Baile Funk, spiced with the rhyme skills of Rio MC Thiaguinho. MC Thiaguinho is one of the former MCs of legendary Rio de Janeiro baile funk outfit Bonde Do Tigrão, famous for tracks like „O Baile Todo“ (the baile funk cover version of „Who Let The Dogs Out“) and „Cerol Na Mão“. The result of the London-Rio collab is „Tamborzuda“: Call it Speed Baile or Garage Funk Carioca, it’s a fantastic, full on-having-fun-blend of two distinct local and hi energy dance music styles, made to body-rock any party. With it’s rave hook, a gutter teasing bassline and the mad lyrics of MC Thiaguinho about a girl addicted to booty shaking and baile funk’s „Tamborzão“ beat, „Tamborzuda“ is a unique track that will find it’s way on dancefloors and DJ selections across the globe.